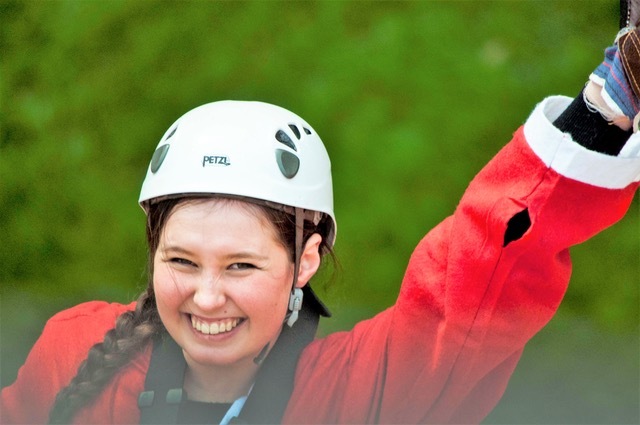 YMCA Exeter are hosting a freefall jump event on the Saturday 8th December where daredevils will jump off Haven Banks Tower on Exeter Quay. It’s to raise funds and awareness for youth homelessness in the run up to Christmas. Locals have been asked to raise £100 by getting sponsored from friends, family and colleagues before jumping off the 22-metre-high tower. The cash will help vulnerable people moving into the YMCA. Every year the charity provides Supported Accommodation for over 100 young people who are experiencing, or are at risk of, homelessness within the city. YMCA Exeter are looking for local volunteers to take on the challenge and at to raise £4,000. Volunteers will receive a Santa suit for their abseil as well as a tempting range of hot drinks and mince pies to enjoy on the day. The event will take place on Saturday 8th December from 10am - 2pm at Haven Banks Outdoor Education Centre. Register to take part at www.ymcaexeter.org.uk or by ringing YMCA Exeter's Events Team on 01392 410530. Contact events@ymcaexeter.org.uk for more information.